I am not the first, nor will I be the last, to refer to peer-to-peer (P2P) boating as pier-to-pier—it’s irresistible. The proliferation of the sharing economy has birthed P2P boating and with it, more players in the field of direct boater-to-renter vessel chartering. So I wanted to know, does the concept float? Most of us have successfully Ubered (a new verb in our lexicon) and some have used Airbnb. So it’s only natural to see numerous services popping up offering P2P boat rentals. However, the complexities of boater education and things like insurance and taxation provide a different dynamic in this marketplace, one that doesn’t compare to getting into, say, someone else’s car or renting a bedroom in their apartment. For example, according to Bryan Petro, chief marketing officer at GetMyBoat (getmyboat.com), his company is more of an aggregator service with 80 percent of its 60,000 listings (which can be anything from paddleboards to yachts) in 169 countries. Meanwhile, Boatbound (boatbound.co—nearly 15,000 boats in 2,100 U.S. cities), Boatsetter (boatsetter.com—4,000-plus boats) and Sailo (sailo.com—1,500 boats in the United States with more abroad) focus the bulk of their business on true P2P transactions between private owners and individual renters. SamBoat (samboat.com) has a variety of boats worldwide as well. Providing affordable and comprehensive insurance has been a challenge for all the companies. Boatbound works with Geico (BoatUS) and Sailo with Lloyds of London to provide per-outing insurance that is calculated based on the price of the vessel, while GetMyBoat offers the ability for renters or owners to buy trip insurance separately. Jaclyn Baumgarten, co-founder of Boatsetter, says hers is a unique model wherein insurance is factored into every rental and also includes SeaTow on-the-water assistance for the time of the outing. That said, prices are usually set by the owners and can vary wildly. And while it’s not cheap to rent a boat, it is still much more affordable than buying one. Baumgarten says powerboats 28ft-45ft are the most popular with Boatsetter and normally rent for approximately $1,300-$1,400 per day plus the cost of a captain. Boatbound and Sailo keep roughly 33 to 35 percent of the specified price for insurance and fees. Boatsetter keeps 28 percent and has a revenue-sharing program with marinas that participate. Aggregators keep a lower percentage. The legalities of boat rentals remain a bit murky, and there are numerous issues still being resolved. First and foremost is the question of licensure, since unlicensed owners taking paying passengers out on their own boat is illegal. With this in mind, most of the companies say they offer a database of USCG-licensed captains, who are also insured under the umbrella policies so that inexperienced boaters can rent from owners who are not licensed. Additionally, it’s not just the captain’s license that determines how many passengers a vessel can carry. In order to accommodate more than six paying passengers, a vessel must be USCG inspected, unless it’s chartered as a “bareboat” that can carry 12 passengers,a distinction that should be noted by both owner and renter. Next is boater education. 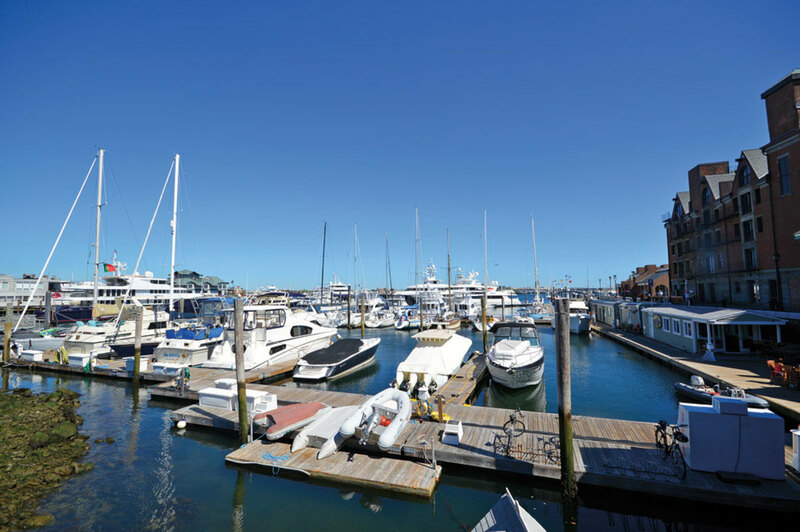 As more states like California and Washington require boater certification, renting boats may require a Vessel Operator Card even for bareboats. How will this affect P2P boating? It’s hard to tell. For now Baumgarten and others stipulate their renters be at least 25 years old unless they’re also hiring a licensed captain. Ultimately, whether you’re an owner or a renter, the viability of P2P boating will depend on several factors: the kind of boat you have or are interested in renting; where and when you boat, your expenses and budget; and your tolerance for having strangers aboard.